American singer and songwriter, record producer, actor, as well as an entrepreneur Chris Brown, was born on 5 May 1989 in Tappahannock, Virginia, and rose to prominence in 2005 with the release of his self-titled first studio album, selling more than two million copies in the US alone, which earned it a double Platinum certification from the RIAA. To date, Chris Brown has released six albums, the most recent of which is “Royalty”, which came out in 2015. So just how rich is Chris Brown, as of mid-2017? According to authoritative sources, Chris’s net worth is estimated to be over $45 million, most of which he has accumulated from his singing career. However, figures such as $300 million from advertising and tours in 2013, and $121 million from album sales, suggest that this may be an underestimate, unless he has spent hugely! 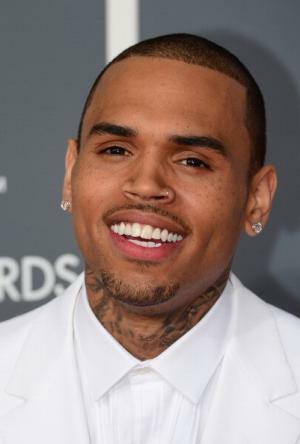 Christopher Maurice Brown was born to a prisons officer and a day care centre director, whose interest in soul music caught the attention of Chris, who taught himself to sing and dance, such that when he was 13 years old, Brown was noticed by a local team called “Hitmission Records”, which helped him record and send his demos to various record labels in New York. Chris took up classes in Essex High School, but soon chose to focus on his singing career, and in 2005 Chris made his successful debut in the music industry, when he was accepted by the Def Jam Record label, although a merger saw him signed by Jive Records, founded by Clive Calder. Aside from rapping, in 2006 Brown debuted in the television sitcom with Flex Alexander and Kyla Pratt called “One on One”. Then in 2007 he debuted on the big screen in a supporting role in Sylvain White’s drama film “Stomp the Yard”, starring Meagan Good and Ne-Yo, and that same year played the lead role of Michael Whitfield in Preston A. Whitmore’s comedy film entitled “This Christmas”; his acting was boosting his net worth too. Even though Chris Brown proved to be a major success, his career has been overshadowed by numerous legal issues. In 2009 he was charged with domestic violence and felony assault on his girlfriend at the time, Rihanna, and was sentenced to five years on probation. Similar events have recurred, although apparently not serious enough to warrant a jail sentence. His on-off relationship with singer Rihanna began in 2008, and supposedly ended in 2013. He had a similar relationship with model Karrueche Tran during 2011 and ’12, and he now has custody of a daughter he had with Nia Guzman in 2015 – perhaps he is a reformed character!